Discussion in 'Native Lenses' started by John M Flores, Feb 5, 2011. I've got the Panny 14-140, which is nice but slow. Does anyone make fast (F2.8 and faster) zooms for M43? I'm looking for good AF performance as well when mated to my GH2. 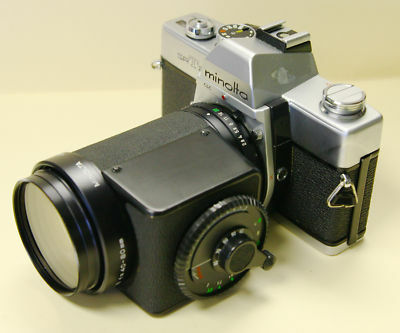 My next fast zoom will be a Minolta 40-80mm f/2.8. oly 14-54 2.8-3.5 or 35-100 f2 plus the adapter. How is the AF on those with the adapter? I have the 14-54 MkI which works really rather well on my e-P1 but on my unfirmwareupdated Lumix G1 it won't autofocus. Try the Zuiko 14-54 MkII, it is meant to be a CDAF lens. The Leica 14-50 f2.8-3.5 is fully functional on Oly bodies but the AF is s...l...o...w.
Any new rumors about when Panny will be announcing the "promised" bright zoom? I'm surprised there is nothing seemingly planned to roughly match the classic fast 70-200. I had a Sigma 50-150 2.8 on my D90 and it was brilliant for so many situations and still pretty compact. The only real candidate with decent AF is the 14-54 MkII (with the caveat below). That one supports CDAF autofocus, using the M4/3-4/3 adapter from Oly or Panny. The AF performance is not stellar like that of the 14-140; it is perhaps a touch slower than the slowest focussing M4/3 native lenses. I had one and sold it because I was not using it, preferring the 14-45 or the 20 for most uses. I also had the earlier 14-54 Mk 1, but it was far too slow to AF. Caveat: Note that the GH2 is supposed to be faster to focus with all lenses, and my experiences were only with a GH1 and E-PL1. It is possible that the 35-100/2 focuses rapidly; that could be exciting! I'm confused. Isn't that the zuiko 14-45 mk II? Or is this another lens I'm unaware of? I'd normally think it was a typo but it was mentioned three times. Interesting discussion . . . does anyone know if the even better (supposedly) Olympus 12-60mm is CDAF also? I'd also be curious how quickly it or the 14-54 MkII focus on the new Olympus EP-3. That long-awaited Panasonic 12-50mm may cost a fortune, I fear. I was just checking on eBay, and the 14-54 MkII goes for about $350 now . . . . if you already have an adapter, it may become a viable option if it focuses quickly on new PENs. Wow, thanks. Not blazing fast but pretty darn good. That long-awaited Panasonic 12-50mm may cost a fortune, I fear. I think there are a lot of us waiting for a faster standard zoom, like the rumored 12-50/2.5-3.3. We'll see. f/2.8 or faster constant zooms are less likely though. Even for m4/3, they will be large and heavy, which is to say they won't make much sense for most of the people investing in the system. Helloooooooo manufacturers ... I got money burnin' a hole in my pocket slated for an AF bright zoom .... Money you can have now in this down economy!